The citizens´ association “Landsberg in the 20 th century” was found on November 9, 1983. On the same day the first commemoration ceremony for the 14.500 Jewish concentration camp internees that were killed in one of the 11 camps which formed the concentration camp commando unit Kaufering took place at the concentration camp cemetery of the former concentration camp Kaufering I in the city of Landsberg. Eight citizens had teamed up to preserve the memory of the genocide of the Jews that had taken place on their doorstep. Amongst the founder members there were a survivor of Auschwitz and a victim of political prosecution in the Third Reich. To save the last constructional remains of the Holocaust in Bavaria was one of the main goals of the citizens´ association that was found on this 9 th of November in 1983. 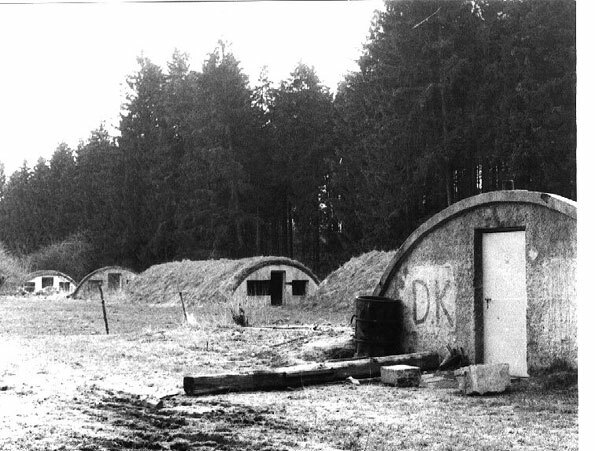 With the support of the then prime minister of Bavaria, Dr. h.c. Franz Josef Strauß, the association achieved that the concentration camp’s under ground bunkers became listed on a historic register. The association also followed the suggestion of the prime minister to design this place that stands for “racial fanaticism and totalitarianism” in a dignified way. The association bought part of the area of the former concentration camp commando unit Kaufering VII and gave it a dignified shape. The other part of the area is owned by the city of Landsberg . This part is overgrown and neglected and it has been levelled off and filled. 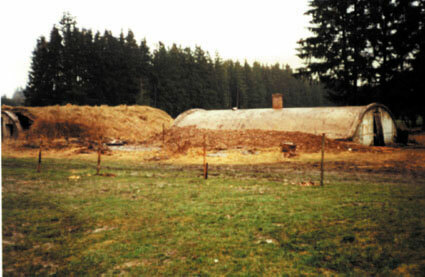 One of the bunkers showed a gaping hole that was two meters in diameter and most of the inner walls made of clay bottles had been destroyed on purpose. 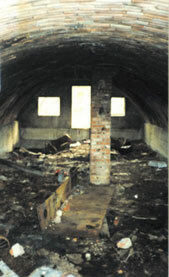 The outer layer of one of the other bunkers had been stripped of and then a group of young bikers called “Devil Knights” used it as their clubroom with a bar and old furniture. The city of Landsberg tolerated all this. In addition to the cleaning in the 80s, the citizens´ association also started to collect historic documents on this chapter of the Holocaust and to preserve oral reports of surviving contemporary witnesses worldwide. These research results have been published in the city’s magazines on contemporary history called “Themenhefte Landsberger Zeitgeschichte”.